By human element, I am unfortunately not referring to actual people. I am talking trash. On St. Martin, it is a huge problem. There are obviously huge downsides to having litter all over the island that go beyond the inconvenience of having trash in the background of one’s bird photos. That said, having trash in the background of my bird photos drives me crazy. I’m already trying to get the right angle for the light and the background, must I also worry constantly about trash in my photos? Yes. 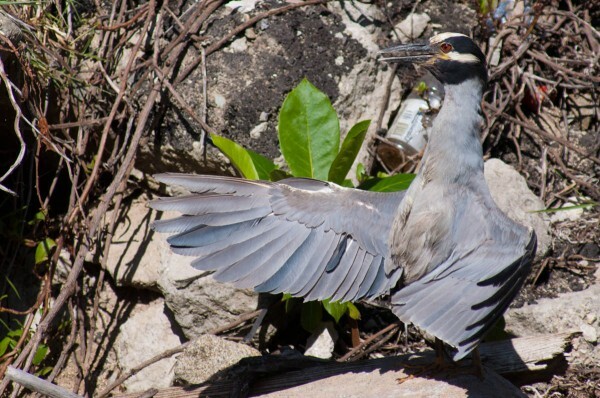 This Yellow-crowned Night Heron was doing something really cool looking in front of a background that really wasn’t great anyways. Still, the trash in the background is really vexing, particularly the plastic bottle at the bird’s neck. Once you notice it, it can’t be unseen. 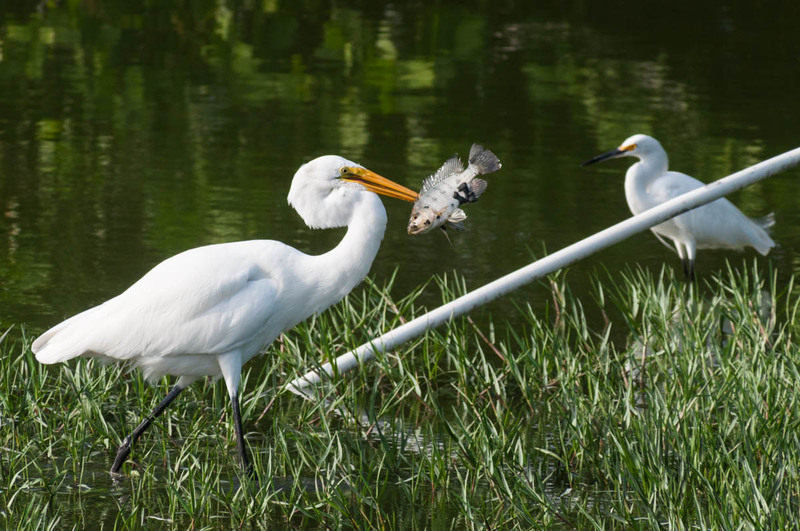 It was amazing to see a Great Egret spear a tilapia and prepare to eat it. Apparently not a big fan of being photographed while eating, the egret walked in front of a PVC pipe, ensuring that all the photos would be ruined. 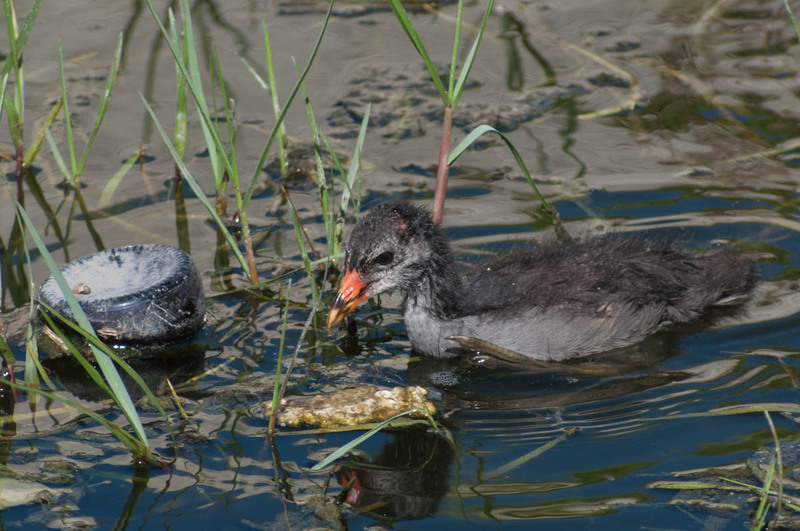 I took a bunch of photos of some Common Gallinule chicks and their mom. Most of the time, I struggled to keep garbage out of the frame, or confined to a corner where it could be cropped out. Sometimes, though, I think it is important to leave the styrofoam chunks and plastic bottles in the photo. After all, they were there. In terms of practical advice, always keep an eye out for trash. It can be surprisingly easy to overlook in the moment when you are focused on a bird. If you can’t get trash out of the frame entirely, at least try to get it away from the bird, by moving your position or waiting for the bird to move on a bit. That way, if you do end up editing it out in Photoshop, your are working your editing magic in an area of the photo that isn’t the main focus of the image.